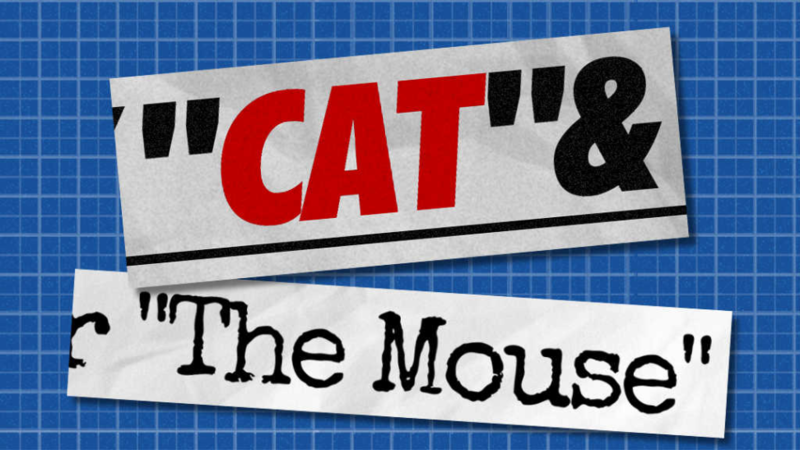 In Cat And The Mouse, two players take up competing roles as either the impish, daring catburglar known as The Mouse, or the dogged inspector who has spent months on this case and refuses to let it go. Their elaborate dance of – well, their elaborate dance comes to a head tonight, in the DeMurph estate, a two-storey mansion full of art objects, nooks, crannies, extra doors and, downstairs, a soiree populated by the wealthiest people in the city! The Mouse sent a note to the newspapers, telling them that tonight, the DeMurph Estate was going to be robbed. That note was sent before The Inspector found one of The Mouse’s safehosues – and now The Inspector is armed with the maps that The Mouse has made of the estate! So now, the game’s afoot – the Mouse is hiding somewhere in the estate, stealing under the noses of the guards, and the Inspector is hot on the trail! Cat & The Mouse is a memory stealth game, where the Inspector steadily closes in on The Mouse, who has to keep trying to leave misleading, but believable clues! If you play The Mouse, you’re at risk of being caught by the Inspector, while you rummage around in drawers, trying to find a beautiful set of treasures that will satisfy your personal sense of style! Cat & The Mouse comes with two decks of cards, one for the Inspector to play with, one for the Mouse, and also with identity cards, letting you choose to play a particularly femme or masc inspector or mouse! 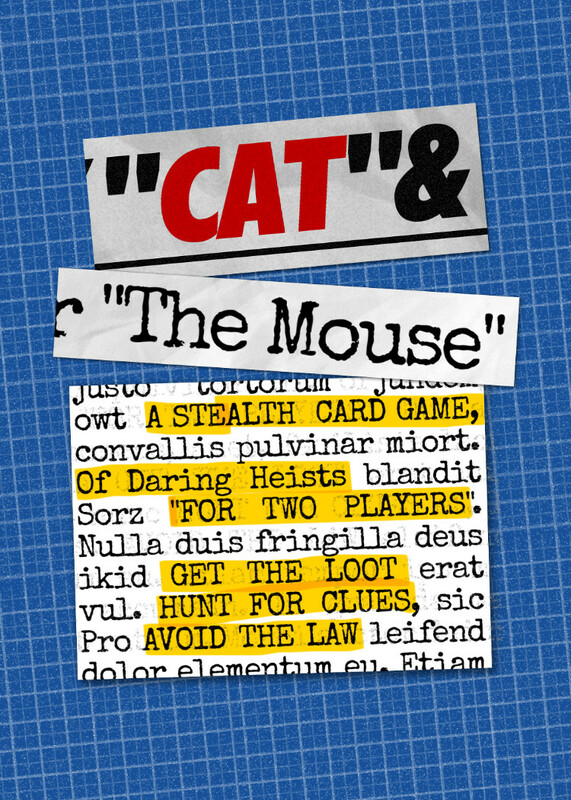 Quick to learn, full of tension and bluffing, Cat & Mouse is a game for the cunning and the insightful! Want to Buy Cat & The Mouse? You can now buy our card games directly from this website! Choose your favourite season, or bundle all four together for a considerable discount. If you want to avoid postage costs or try our games out in person, you can also catch us on the convention circuit. For international customers, you may prefer to buy print-on-demand via DriveThruCards (the same printer we use for our local stock). You can buy Cat & The Mouse at DriveThruCards as a professionally printed card deck. Already bought Cat & The Mouse? Download the latest revision of the Cat & The Mouse rulebook. You can also follow us to receive notifications of rules updates!